Attention first time home buyers! 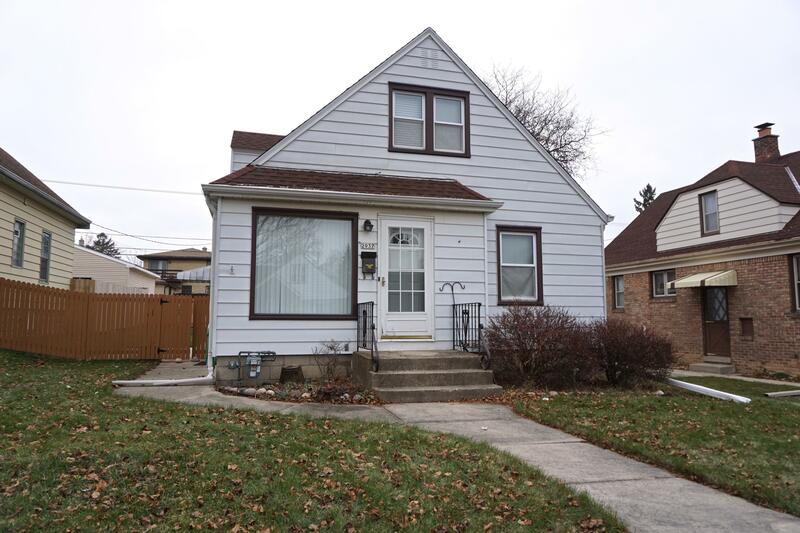 This charming Cape Cod settled on an extra wide West Allis lot has so much to offer! The welcoming living room is freshly painted and features large picture windows, crown molding & hardwood floors. Great kitchen with sunny eat-in area & lovely shutters. Clean & updated main floor bath with ceramic tile. Four good-sized bedrooms all with hardwood floors & ceiling fans. Finished lower level rec room & 1/2 bath! You'll love the awesome fenced-in backyard with patio area, and the two car detached garage w/ two additional parking spaces. Recent updates include new alleyway, roof, garage roof, furnace, A/C, water heater, dishwasher & privacy fence. Convenient location close to Jefferson Elementary, shopping & restaurants. Schedule your appointment today!